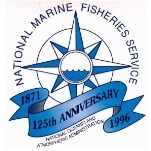 Eileen Sobeck was appointed head of the National Marine Fisheries Service in January 2014. In addition to her long career working to manage marine life, Sobeck has a unique qualification for the job—a species of sea slug is named for her. Sobeck is from Davis, California, but lived in Kenya while attending high school. Her parents, Frederick and Charlotte, moved with their five children to Africa in 1968 so that Frederick could practice medicine for the Peace Corps. Sobeck attended Stanford University, earning a B.A. in 1975 and her law degree in 1978. After graduation, Sobeck went to work for the National Oceanic and Atmospheric Administration (NOAA) in its general counsel’s office. There she worked on marine mammal and endangered species cases. In 1984, Sobeck moved over to the Department of Justice’s Environment and Natural Resources Division as a trial attorney, often defending the Reagan administration in lawsuits filed by environmental groups. In 1989 she was made assistant chief of the Wildlife and Marine Resources Division and beginning in 1995 headed the division. Sobeck was made deputy assistant attorney general for the Environment and Natural Resources Division in 1999, a position she held for 10 years. Sobeck tried her hand at politics in 2005, running an unsuccessful campaign for the city council in her home of Takoma Park, Maryland. Sobeck transferred to the Interior Department in 2009 as deputy assistant secretary for Fish, Wildlife and Parks and served for a time as acting assistant secretary. She took a detour from natural resources protection in November 2012 when she was named acting assistant secretary for Insular Affairs in the wake of the forced resignation of Tony Babauta, who was accused of financial and sexual improprieties related to his office. She held that post until taking over the fisheries service. Sobeck is an avid scuba diver and helped in the discovery of a species of Pacific nudibranch, Hallaxa hileenae, which was subsequently named for her. She and her husband, Michael Gosliner, general counsel for the U.S. Marine Mammal Commission, have two children.